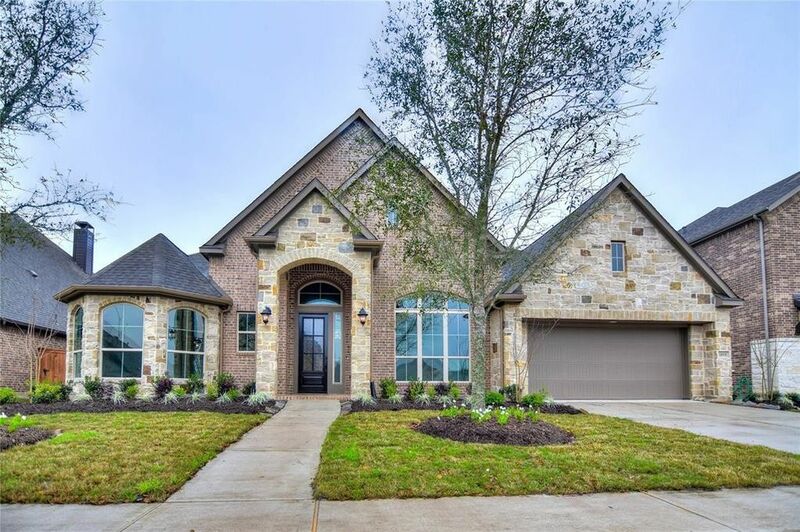 Ravenna Homes presents this Stunning 1-story home opens to entry with 13-foot ceilings and study with hardwood floors that flow through to the large family room. The kitchen with 12-foot ceilings, 42-inch raised panel cabinets and stainless-steel built-in appliances opens to the casual dining, and family room with 12-foot ceilings and fireplace. An expansive master bedroom includes 12' ceilings and floor to ceiling windows looking out to the huge extended patio. The master bath includes separate his and her vanities with granite countertops, an oversized walk-in shower and dual walk-in closets. Call today about this amazing home! Directions: From 290 West to and Turn left on Barker-Cypress Road and proceed 2.4 miles then turn right on Tuckerton Road. Right on Greenhouse Road, left on Towne Lake Parkway. Take an immediate left on Dew Meadows Court and look for model home.